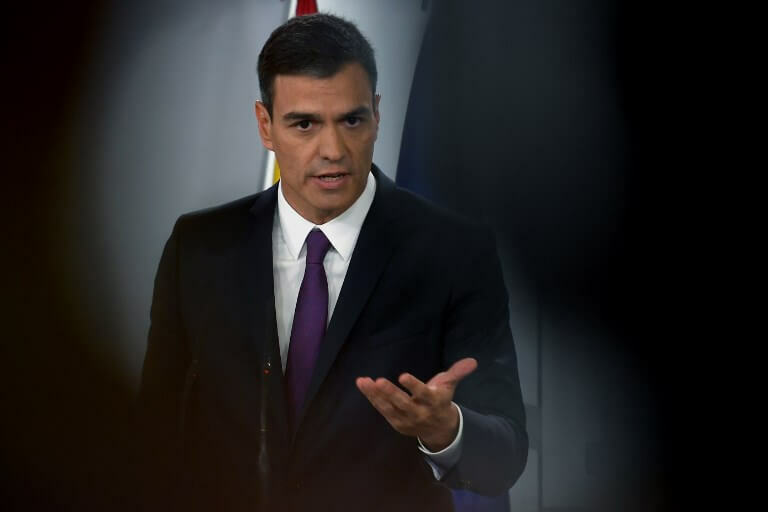 Spanish Prime Minister Pedro Sánchez angrily fought back Thursday against allegations that he plagiarised his doctoral thesis, in the same week his health minister resigned over reports of academic irregularities. ‘The information appearing in certain media claiming the existence of plagiarism in my doctoral thesis is absolutely FALSE,’ Socialist Sanchez tweeted, just two days after Carmen Montón quit the health portfolio under a cloud. Spanish media said Montón had been awarded grades without attending classes and that her final project contained plagiarised passages – charges she denied. Carmen Montón‘s perceived irregularities in her own Master’s degree opened a new chapter in the ongoing scandal about the authenticity of some Spanish politicians’ qualifications. Montón stepped down on Tuesday after the media reported that the Rey Juan Carlos University in Madrid, where she got her degree in gender studies, had admitted that her results had been tampered. The university stated it had begun an investigation. ‘I shall take legal action to defend my honour and dignity if what has been published is not rectified,’ Pedro Sánchez said, after a front-page story by conservative daily newspaper ABC said he used ‘cut and paste’ to produce his doctoral dissertation. The article claimed the premier’s paper on innovations in Spanish economic diplomacy, written in 2012 when he was a professor of economics at the private Camilo Jose Cela university near Madrid, included entire paragraphs lifted almost word for word from an article by fellow economists, and from a government presentation. Online conservative paper Ok Diario also accused Sánchez of plagiarism. In a statement, the Camilo Jose Cela university said it had reviewed the evaluation of Sanchez’s thesis and found it was ‘carried out in accordance with current regulations and the usual university verification and control protocols’. Later on the day the Spanish government announced that Sánchez will publish his thesis after the accusations of plagiarism. Ciudadanos (Cs) and the People’s Party (PP) have prompted him to appear before the Congress to give an explanation. On Wednesday’s session in the Spanish congress, Cs leader Albert Rivera asked Sánchez why his administration had vetoed a legal proposition demanding the publication of doctoral theses. He called on the Spanish president directly to publish his own thesis to ‘dissipate doubts’. Sánchez responded by saying that it is published on Spain’s education ministry’s thesis database, ‘as the law requires’. Although it can be consulted there, it is not possible to make photocopies. Thursday’s media accusations of plagiarism increased pressure on the Spanish leader to make his thesis public. The controversy comes after doubts emerged about the authenticity of the qualifications of other Spanish politicians. In March, former head of the Madrid region, Cristina Cifuentes, was alleged to have fraudulently obtained her master’s degree from the same university. In fact, the Cifuentes affair led to reports emerging about alleged inconsistencies with the master’s degree of the new head of the PP, Pablo Casado, as well, whose qualifications are now also subject to an investigation by the Rey Juan Carlos University.